At Green Van Lines in Rowlett, we’re proud to offer top-quality moving and packing services to the local community. Our rates at Green Van Lines are affordable and always up-front. It’s important to us that you have a clear and accurate idea of the cost of our services. We also pride ourselves on our timeliness – our Rowlett movers will always show up on time and get straight to work. When you utilize Green Van Lines, you’ll reap the benefits that come from using our state-of-the-art moving, storage, and packing services. Do you need the assistance of local professional movers in the Rowlett area? It’s time to call Green Van Lines. After all, our local movers are highly trained moving professionals with years of experience. 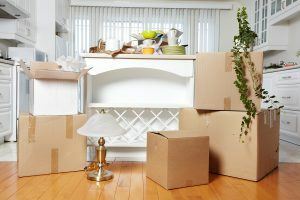 Long distance moving can be stressful – trust us, we get it. If you’re preparing to move across the country, Green Van Lines is here for you. We can even assist with international moves. Contact us to find out more! Do you need to move your vehicle in addition to your household items? Our auto transport services are affordable, reliable, and efficient. Are you moving your commercial business? Here at Green Van Lines, we can successfully handle all your industrial and commercial moving needs. Our team of residential moving experts can help you relocate in no time. The Green Van Lines movers in Rowlett are here for you! Our team of skilled Rowlett residential movers can take care of all the ins and outs of the packing and moving process so you don’t have to. Save yourself the time and stress; contact us today! Do you want to schedule your first moving appointment with us? Come by our local Rowlett branch – we’re always happy to talk with you and answer your questions. Wow. What an amazing job and a green company too. Can't say enough good things about Arthur and Steve. Jason, see unni away delivery! Thanks all. Rowlett is a charming suburb to the northeast of the Dallas-Fort Worth metropolitan area and has a population estimated to be nearly 57,000. It is a thriving, bustling community located on the picturesque Lake Ray Hubbard.